Hyperspectral imagers from Headwall Photonics Inc. will be integrated into machine vision systems for food handling from Bratney Companies of Des Moines, Iowa. Bratney's systems help sort and grade high-value nuts and whole food products, reducing the need for human hand-sorting. 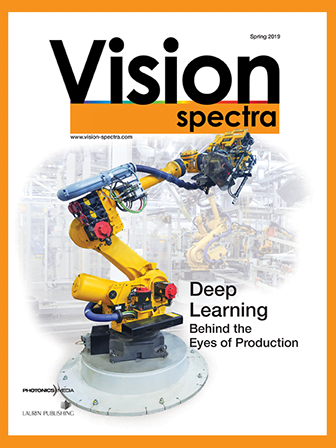 Headwall's Hyperspec sensors cover spectral ranges of interest, providing crucial image data from every pixel within the field of view for the real-time operation of production lines. Spectral and shape discrimination algorithms are applied to inspect and grade processed food items, resulting in a much higher level of discrimination and producing a higher quality product. "This technology allows us to detect defects and infractions both visible and invisible to the human eye," said Peter Bratney, CEO of the Bratney Companies. "Therefore, separations which are far beyond the capabilities of traditional human sorters are now possible, which is a tremendous benefit to our customers." The Hyperspec system controls the operation of the sensor hardware and monitors the flow of product along a conveyor belt, driving the action of the robotic ejection devices and allowing the picking and sorting equipment to manage spectral data. "This is a targeted spectral imaging solution addressing a critical quality assessment need within the food processing industry," said David Bannon, CEO of Headwall. "When it comes to high-value nuts, seeds and specialty crops and grains, the ability to determine overall quality based on chemical and shape characteristics is a key attribute of Bratney's pick and sort technology." Headwall Photonics designs and manufactures imaging spectrometers and spectral instrumentation for industrial, commercial and government markets. The Bratney Companies provide cleaning, packaging, separation, material handling and storage equipment for customers in the seed, grain, feed, nut and specialty industries. Seems that this machine works well and also reduced the time of work. Now better and high quality nuts will be produced. I also read a nice article on food industry public relations and it was simply great. This article can be viewed at http://www.hjmt.com.